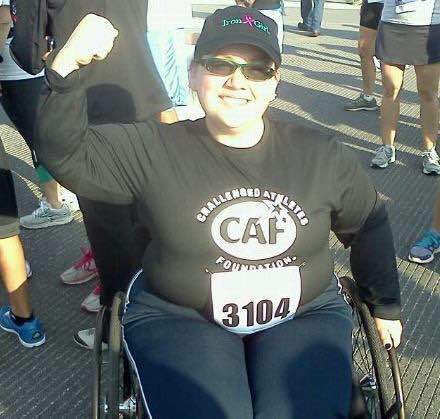 Candice Casas has had an on-again, off-again relationship with physical activity throughout her life due to her congenital disabilities and body size. Raised in the Midwest U.S. by parents that danced in disco competitions before she was born, being physically active was a huge part of her family life whether through dance or various outdoor sports like waterskiing, running, snowmobiling, and swimming. Although the only thing she ever truly excelled at was dance (and in her young adulthood was a semi-professional bellydancer before sustaining a spine injury that led to surgery), she loves trying new sports and activities from powerlifting to yoga to wheelchair basketball to Crossfit. She is currently a doctoral student in kinesiology at the University of North Carolina at Greensboro and is studying the sociology of physical activity with a focus on disability and body size. Her scholarship thus far has focused on various “deviant” embodiments and their intersections in human movement, for example fatness, queerness, and disability in the US reality show “Dancing with the Stars.” Her dissertation will be focusing on disabled women and their lifelong experiences with physical activity, dance, & sport. She also is a freelance editor with a focus in academic writing and is also pursuing yoga teacher certification as well as personal training certification through the National Academy of Sports Medicine. Ragen Chastain is a trained researcher, three-time National Champion dancer, marathoner, and training to be an IRONMAN. She is a full time speaker and writer on the topics of self-esteem, body image, Size Acceptance and Health at Every Size. Author of the blogs DancesWithFat and IronFat, the book Fat: The Owner’s Manual, and Editor of the Anthology The Politics of Size, published by Praeger, a body image and women’s health blogger for NBCs iVillage/Today.com and a columnist for Ms. Fit Magazine, Ragen’s work has appeared in venues including The Huffington Post, Jezebel, and Everyday Feminism. She has held multiple fitness certifications through AAFA and is the co-creator of the Fit Fatties Forum with Jeanette DePatie. Jeanette DePatie (A.K.A. The Fat Chick) is a plus-sized, certified fitness instructor and personal trainer who has helped thousands of people of all ages, shapes, sizes and abilities who haven’t worked out in a while (or ever) learn to love their bodies and love exercise again. She is author of the best-selling book and DVD, “The Fat Chick Works Out!” and is the founder and creator of EveryBODYcanExercise.com. Ms. DePatie has held certifications from the YMCA, ACE and AFAA for Aerobics Instruction and Personal Training. 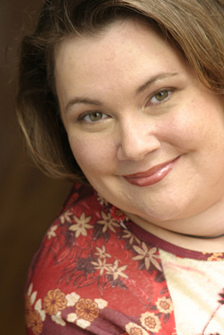 Jeanette is co-creator of the forum at www.fitfatties.com with Ragen Chastain. She also co-created The Hot Flash Mob movement with Dr. Eve Agee which recently featured a simultaneous bi-coastal Hot Flash Mob in New York City and San Francisco in honor of National Menopause Awareness Month. Jeanette produces much of her own content and also serves as a producer of interactive content for others. She has worked with many Fortune 500 companies and other large corporations including Apple, Google, Hitachi, Intel, Monsanto, NTT, Panasonic, Republic of Tea, Sony, Southwestern Bell andTechnicolor and most of the major studios in Hollywood including Disney, Fox, HBO, Lionsgate, Paramount, Sony Pictures, Universal, Warner Bros. She has served as a national board member for the Producers Guild of America. Ms. DePatie has also served as a spokeswoman for NAAFA (The National Association to Advance Fat Acceptance) and as a spokeswoman (and board member) for The Association for Size Diversity and Health and The Size Diversity Task Force where she commonly speaks on the topic of Health at Every Size®. She has been interviewed many times on television, radio and in print by many important organizations including NPR, “The Katie Couric Show”, Al Jazeera America, “The Dr. Drew Show”, Fox News, CBS News, ABC News, The New York Times, The Wall St. Journal, Women’s Health and Hallmark Channel’s “Home & Family”. You can learn more about Jeanette at: www.jeanettedepatie.com. My fitness adventure began when I had the great fortune to inadvertently buy a front row seat for a Beyoncé concert. After watching her sing and dance for 2 hours, I went to the gym the next day with the goal of wanting to do a similar feat of cardiovascular strength. Since then, I have enjoyed a wide array of activities that test me physically and mentally. 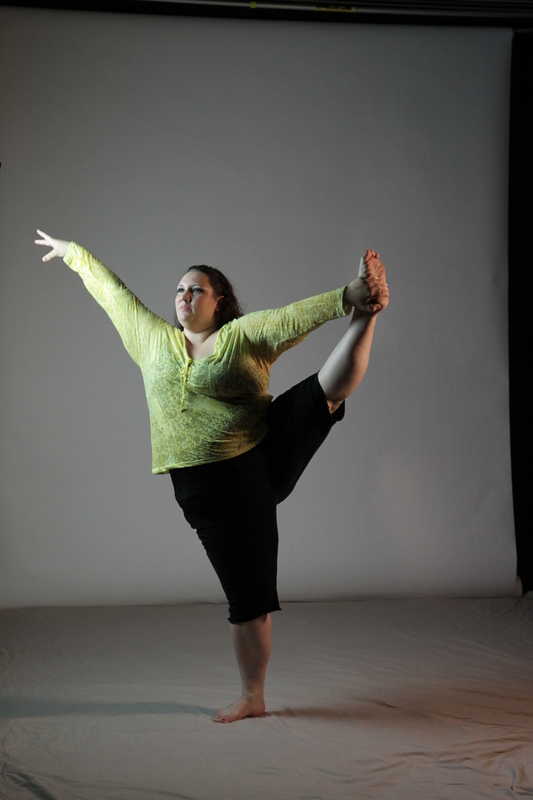 I attend a multitude of dance fitness classes, from Zumba, hip hop, and hula to burlesque, bellydance, and pole. I enjoy the expressive nature of these workouts and the community created in class. 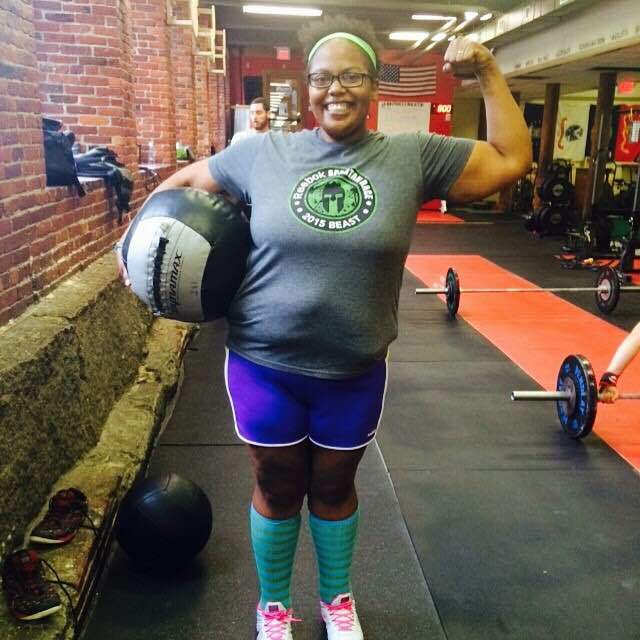 I am an avid CrossFitter at EverProven CrossFit in Dover, NH, and recently completed my first CrossFit Open. I have also had success as a powerlifter, winning several medals at USAPL meets. Last year I decided to try the Dirty Girl Mud Run and immediately fell in love with the sport of obstacle course racing. I completed my first Spartan Sprint in August 2014 and am going for a Spartan double trifecta this year as well as my first Tough Mudder headband. I enjoy the unpredictability of these races as well as the discipline I develop during training. In my spare time, I take tap and hip hop dance classes. You can also find me in the pool or on my bike because I’m doing my first triathlon this year! I run a FB goals-setting group called “Healthy Homies” and hope to expand this in the future. I love talking fitness! I enjoy exploring new activities and am always looking for the next goal, the next thrill! My long term goals include a Fuego Y Agua Survival Run, World’s Toughest Mudder, and the Spartan Ultra Beast. When I’m not in the mud, in the studio, or washing workout clothes, I’m an Assistant Professor of English and Women’s Studies at the University of New Hampshire. There I study and teach American literature, feminist theory, and prison studies.